Tokaj is a very unique wine growing region where the vineyards are planted atop 800 extinct volcanoes. That concentration of volcanic soil produces grapes that are so high acidity, that even the overripe or botrytis effected berries used to produce the dessert wines are perfectly balanced. This is the reason why the dessert wines from Tokaj have become so legendary. 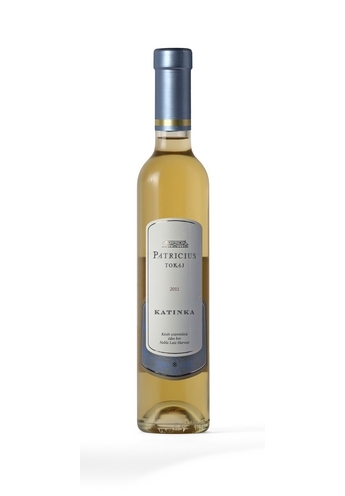 This wine is a proprietary late harvest including Furmint, Yellow Muscat, and just a little bit of Zeta all sourced from the equivalent of “Grand Cru” classified, estate owned vineyards with volcanic, mineral rich soils. The grape bunches are selected containing healthy, over-ripened, and partly botrytized berries, which were picked during the late-autumn harvest. The fruit was fermented in stainless steel tanks, then transferred to 220L Hungarian oak barrels and aged for 4 months. The resulting wine has 124 g/L residual sugar and 6.1 g/L acidity. This wine can easily age for 10-15 years.